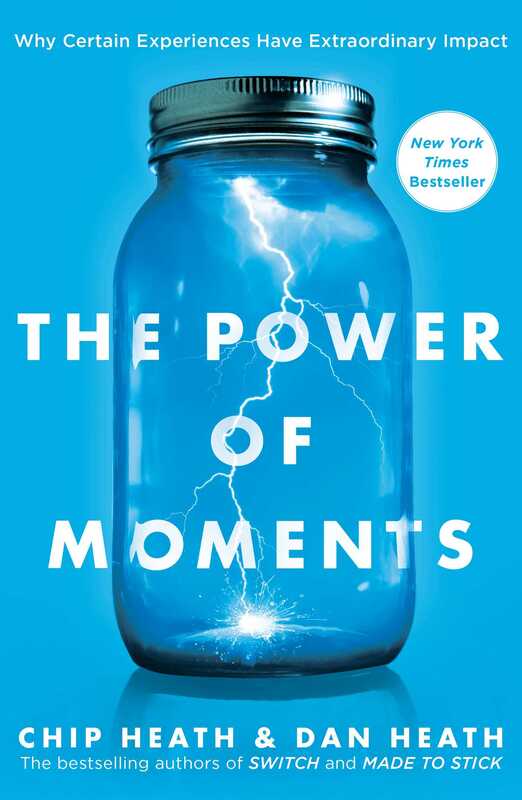 In their new book The Power of Moments, Chip and Dan Heath describe a principle some high performing organizations use to grow successfully: “Reduce negative variance and increase positive variance.” This idea is relevant in at least two aspects of running and improving schools. First, one of the strongest ways a school can make a difference in student achievement is to have a coherent approach to teaching, one that outlines a shared understanding of “how we do it”—things that comprise a schools core approach that everyone is expected to do. The school should name the things that are part of “how we do it” and then provide training so predictable implementation errors are reduced. That’s a way of both aligning and implementing a philosophy but also of reducing negative variance. But it’s super-important to balance that reduction of negative variance with an understanding of the benefits of “positive variance”… the idea that people who have achieved proficiency with a skill should have the freedom to personalize and adapt. Personalization allows people to match the technique to their own unique style—to be both themselves and part of a system. Adaptation encourages them to find ways to use the technique better—to find ways when it works better in certain situations—to identify times not to use it, etc. You can see that play out in this fantastic video produced by Navigator Schools in California and which I posted about last week. There are clips of six teachers using the Turn and Talk technique (#43 in TLAC). There are consistencies—shared expectations to help reduce negative variation—but there are also differences—each teacher has their own style. And they use the technique differently. This models and embraces positive variation. I think this is hugely important. As people develop proficiency you want guardrails; as they show mastery you want to give them reasonable (often not unlimited) freedom to adapt. I call this decision rights. And without them, I think, your organization can be “good” but probably not great. This idea of reducing negative variation and increasing positive variation is even more important in the area of curriculum and lesson planning—one of the fastest changing areas of schools right now. Background: Wisely many schools have realized that asking teachers to both teach and plan as many as four or even five lessons per day can make the job unsustainable—exponentially so for teachers in their first years of teaching. Both teaching and planning take more time and focus and a lot of people think most people can’t reliably learn to do both at the same time and survive—why not learn to master your teaching by using someone else’s lesson plans, then after you’ve master the teaching part, you can begin planning. The result, among many networks of schools has been centralized lesson planning—another word for centralized curriculum, really. A team of teachers or a lead teacher develop plans that teachers spend a bit of time preparing and then use. or schools use a new breed of curriculum with daily lesson plans such as KIPP Wheatley (which I mention because it’s one of my favorites). This approach does an outstanding job of reducing negative variance. It’s harder to be under planned or unplanned. It’s harder to make a terrible plan. It’s harder to work yourself to death your first year and therefore more likely you will be back for year two. But to lead to “great” not just “good,” centralized lesson planning also has to allow for and even encourage positive variance. There are I think two things that have to be contemplated to make that work. The first is lesson preparation—to develop a lesson preparation process that encourages teachers to be prepared to make adaptations. Choosing the single most important part of the lesson and scripting an exemplar are good examples of this. If a teacher runs out of time—as we so often do—I don’t want her to cut things at random from the lesson. I want her to protect the most important parts. And that means intentionally thinking about them in advance. And if I want her to be able to respond well to student errors, I want her to have thought through what an ideal—exemplar—answer looks like by writing one out herself. Only then can she really identify the gaps. But the idea here is that it’s not enough to just give teachers a lesson—I want to build shared processes for preparing with flexibility. If there’s a weakness in how many school use KIPP Wheatley for example, it’s in not being systematic enough in outlining the processes that lead to success in teaching a lesson someone else wrote for you: What does it mean to sit down the night before to get ready to teach what you haven’t also designed? Even more important is the second step: Decision rights: At some point I want people to earn decision rights—the right to change add to or even drop aspects of the shared lesson—at some point in their journey to earn the right to make it optional. What I am describing is progressive decision rights, I think, meaning that as teachers increase their proficiency and maturity we want them to begin embracing variation. This is a good thing for them. It’s how they learn to adapt and problem solve. And it’s how they get their lesson to be an expression of ‘them’ which means a better lesson and a happier teacher—and, it shouldn’t need to be said, keeping good teachers happy and gratified is a hugely important issue for any school. But this positive variance is also a good thing for organizations. It’s how they learn and grow and problem solve too. It’s how they develop the group of expert teachers who will be their next generation of lesson planners. The freedom to pursue positive variance is, I think, necessary and critical to organizational health and greatness. No, I don’t want a first year teacher going off and teaching what’s in her heart until she’s taught several hundred well-planned lessons designed by a master. But after that I do want her teaching what’s in her heart. And I want to learn why it’s in her heart and when it succeeds to replicate it. So as we move towards daily lesson plans in many of our top networks, I encourage you to think about how and when teachers earn the opportunity for positive variance.